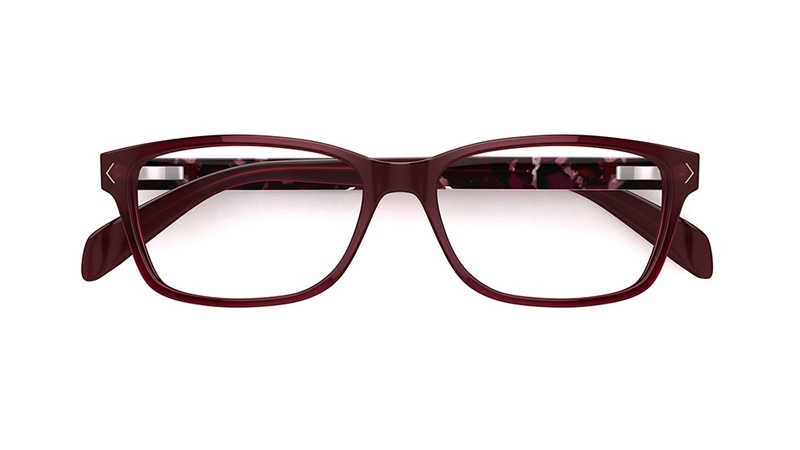 Designed with uncompromising attention to detail, Karen Millen glasses feature bold use of colour, alongside distinctive design details, creating styles to flatter many different face shapes. 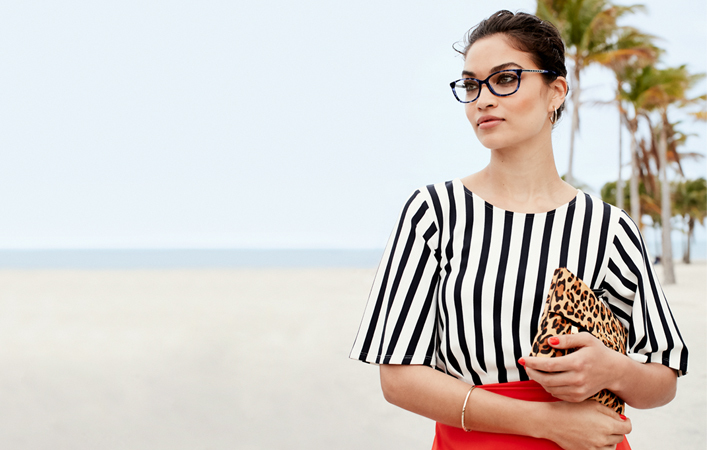 Karen Millen glasses are just €189, including standard single-vision lenses, and you can get a second pair free in our great 2 for 1 designer glasses offer. 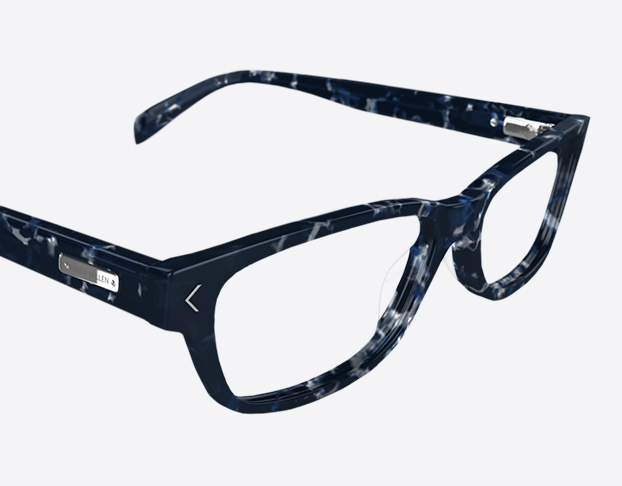 You can even make designer sunglasses your second pair. 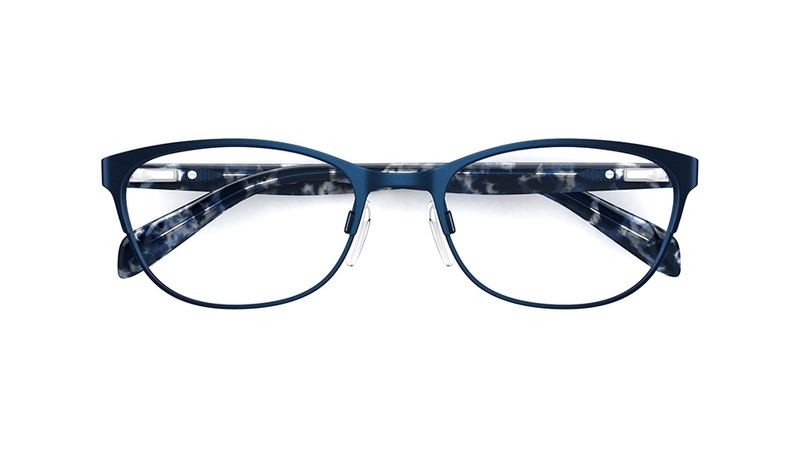 Dark-blue tortoiseshell glasses in a glossy plastic acetate. 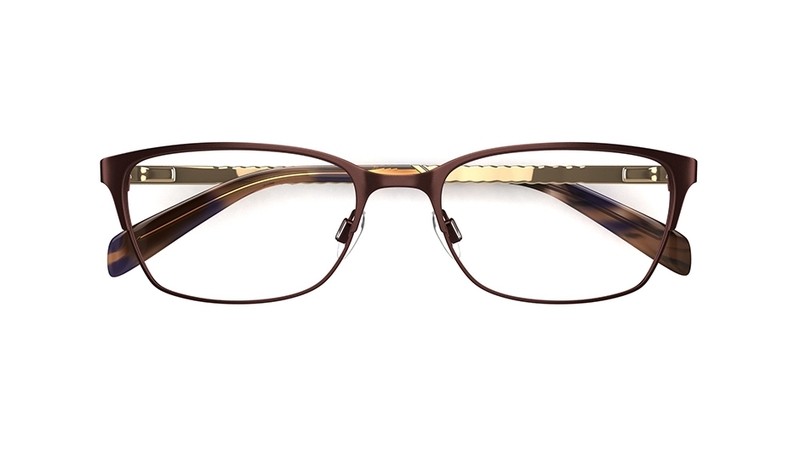 The classic rectangular lens shape adds a sophisticated feel to this look. 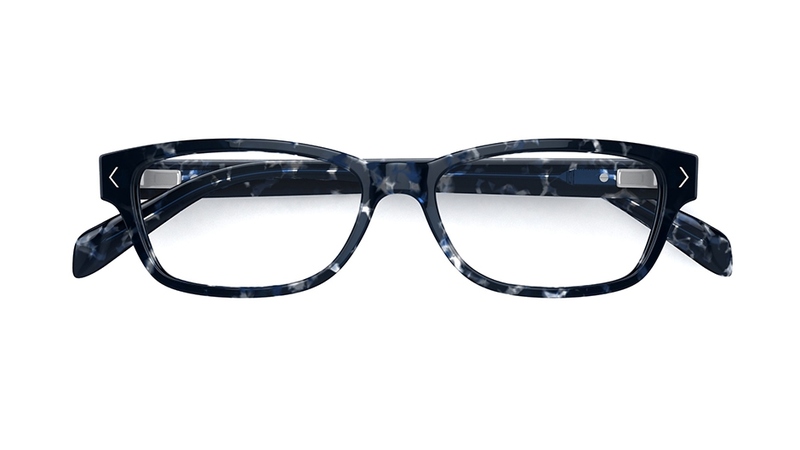 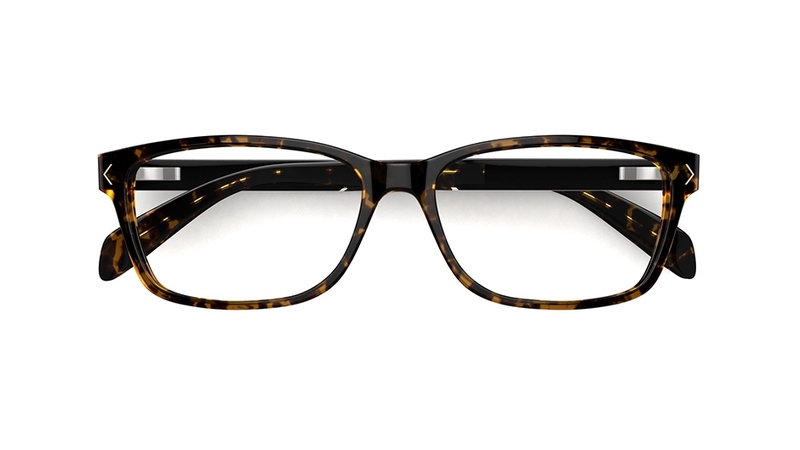 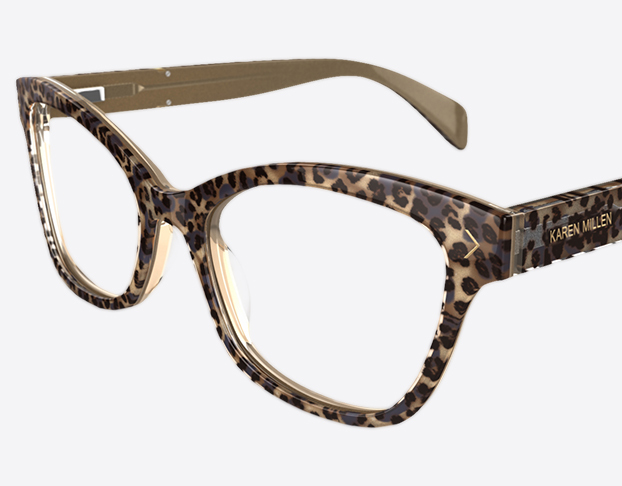 A confident, fashion forward style with animal-print frame in glossy plastic acetate. 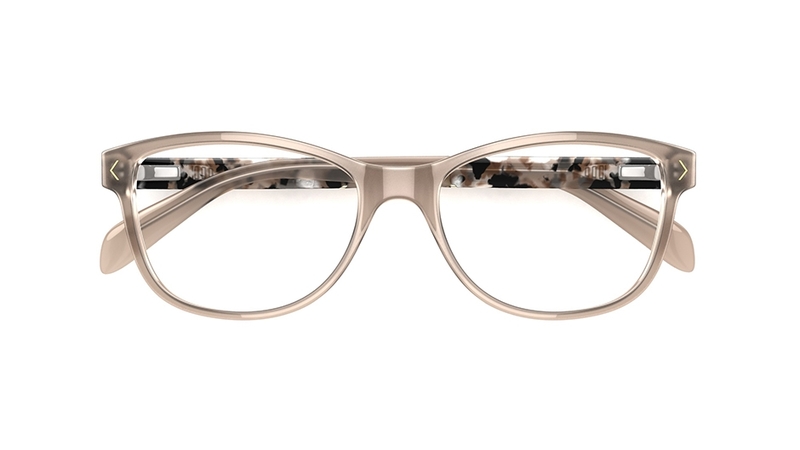 The temples feature gold Karen Millen branding and gold chevron detail with tiny diamanté. 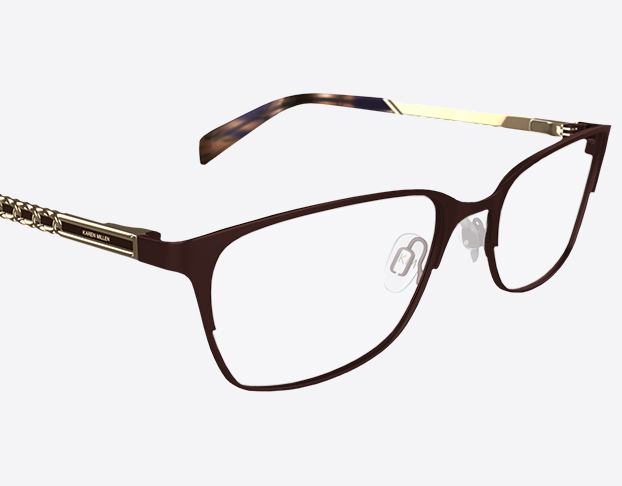 These flat-sheet metal glasses feature the iconic Karen Millen chain detail at the temples – a timeless design combination. 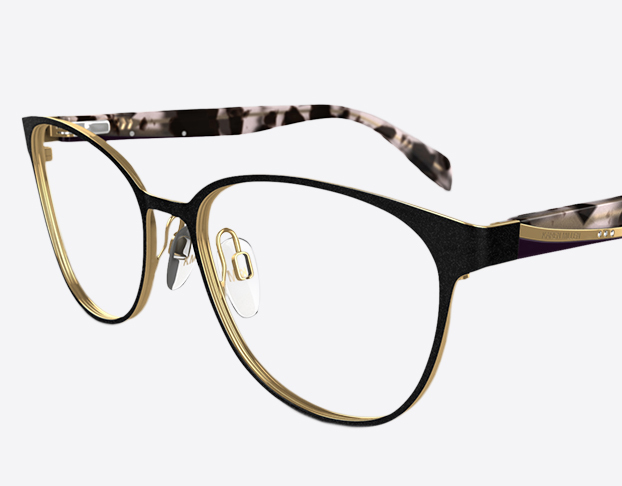 Black stainless-steel frame and a shiny gold temple detail that catches the light beautifully. 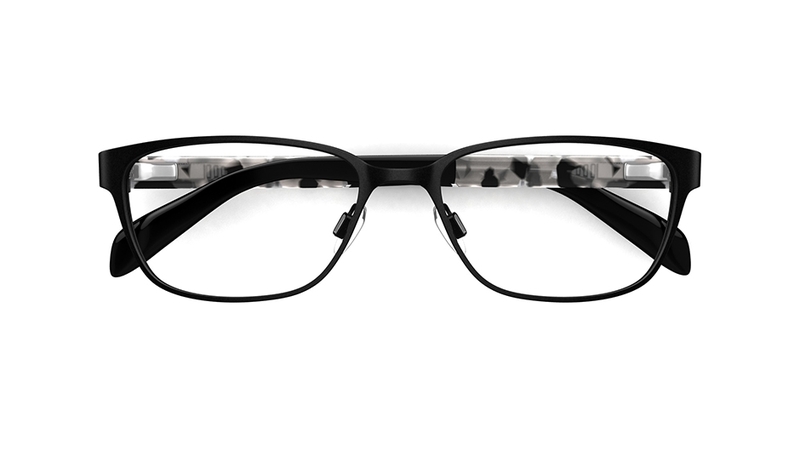 The arms are a mix of black and pale lilac acetate plastic in a translucent tortoiseshell effect.